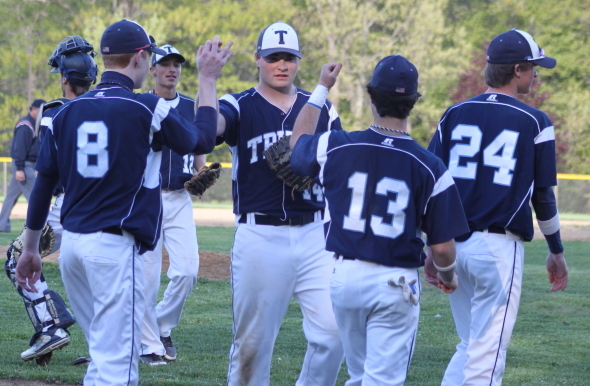 Triton pitcher Nick Cornoni gets congratulated after his complete-game win. 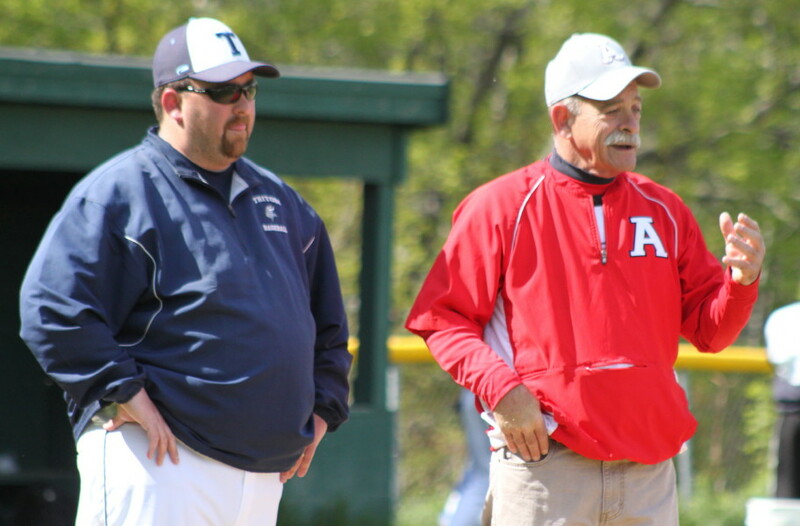 (Amesbury) Triton took advantage of walks and errors defeating Amesbury, 5-3, on a cold Monday afternoon of Cape Ann League baseball. 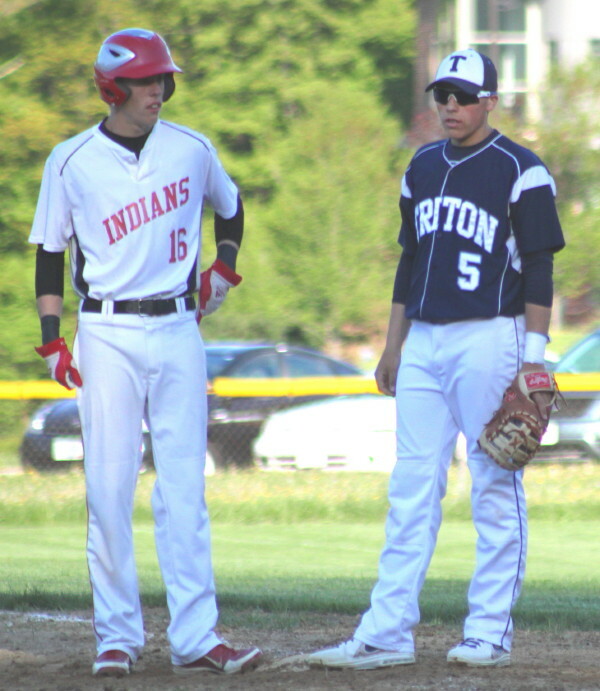 Triton (8-6) broke a 3-3 tie in the sixth inning thanks to four straight two-out walks by Indians starter Andy Reidy. In the seventh inning, with Nick Hawruchiew now pitching, Tommy Connors (playing second in a drawn in infield) bobbled a grounder enabling the Vikings to get an insurance run. 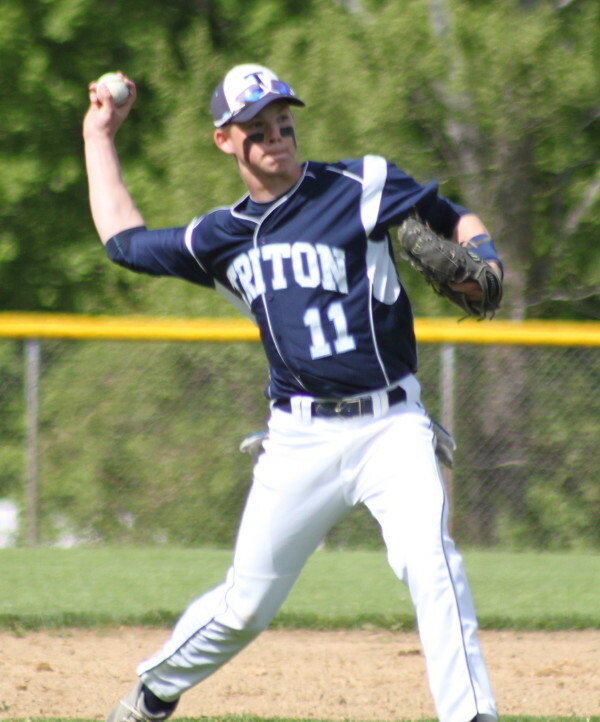 Nick Cornoni pitched a complete game for Triton getting his third win of the season. 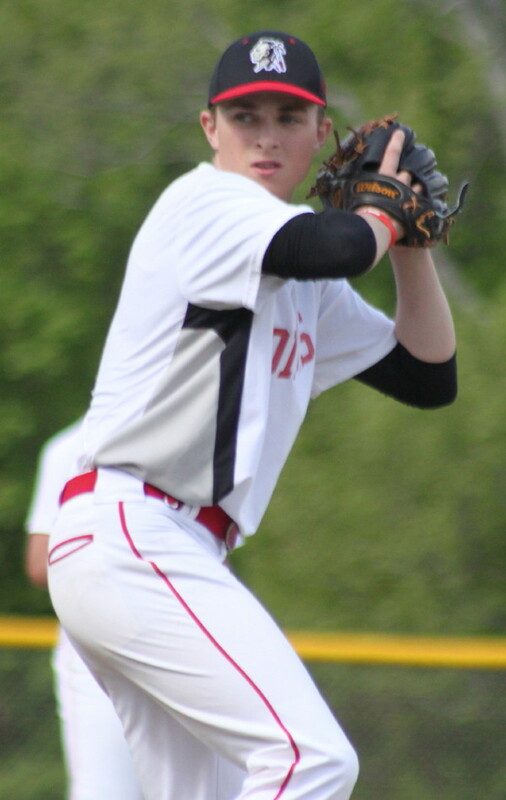 Nick gave up eight hits over the first five innings but held Amesbury hitless over the final two innings. The Indians (7-7) left the bases loaded in the first and the fifth. 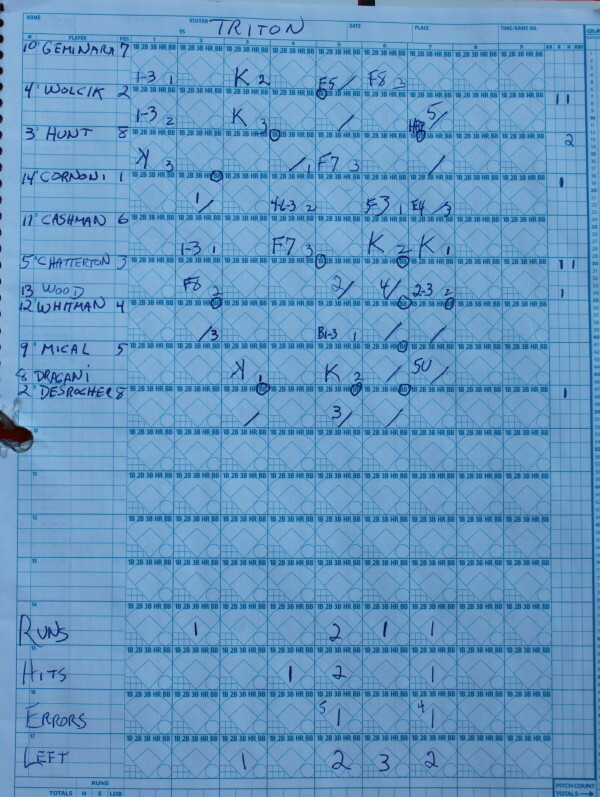 The biggest play in the game (in my opinion) was in the Amesbury half of the fifth inning. To set the scene: the Indians had tied the score, the bases were loaded, and the Vikings had already committed two errors (Billy Mical & Justin Cashman) in the inning. A grounder came Justin’s way and his throw was low to first but Adam Chatterton made the scoop ending the inning. 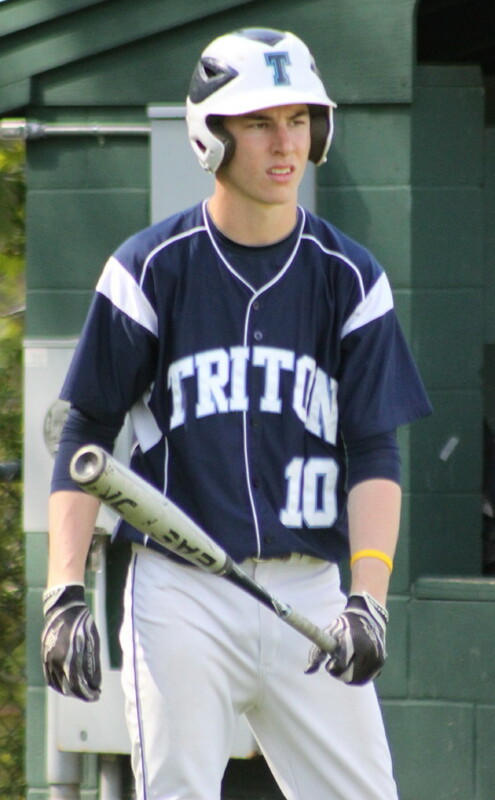 Triton went on from that scary inning to get the two runs that spelled the final difference. Nick Cornoni scored the first run of the game in the top of the second inning after leading off with a walk. A wild pitch and a fielder’s choice got the senior to third. Adam Chatterton’s fly ball to center drove in the first Vikings run. The Indians tied the score (1-1) in the fourth. Ben Cullen walks, stole second, reached third on a wild pitch, and came home on John Pesci’s two-out single. The visitors grabbed a 2-run lead in the fifth inning. A two-out error by third baseman Zack Fitzgerald allowed pinch runner James Wood to score. Cote Wolcik followed with an RBI single to bring Nick Desrocher home. 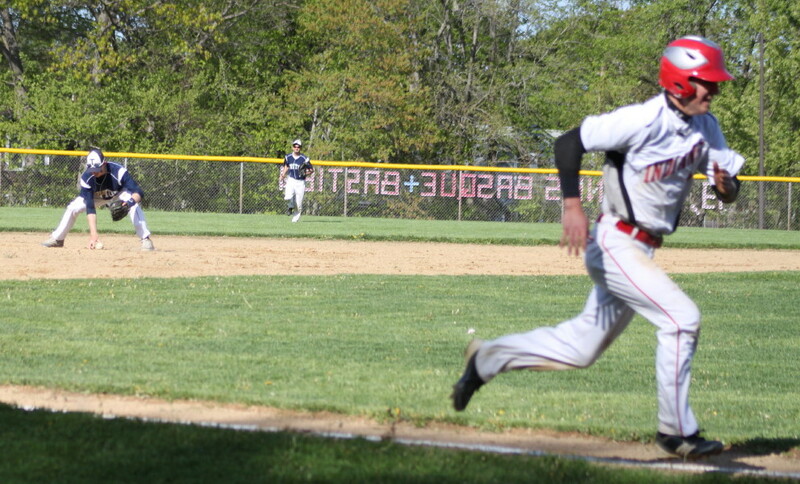 Amesbury would tie the score in their half of the fifth but Triton added two more runs to win in the last two innings. Vikings catcher Cote Wolcik saved the day in the third inning by corralling a wild pitch with an Amesbury runner on third base. 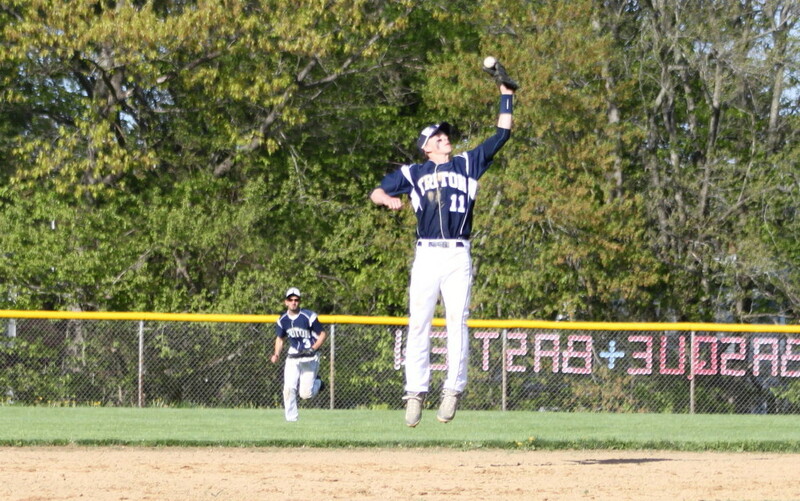 Shortstop Justin Cashman leaps to end the fourth inning. Shortstop Justin Cashman made a leaping catch to end further Indians scoring in the fourth inning. Close calls in the infield had both coaching staffs unhappy. Both teams return to action tomorrow. Triton is at Hamilton-Wenham while Amesbury hosts Ipswich. 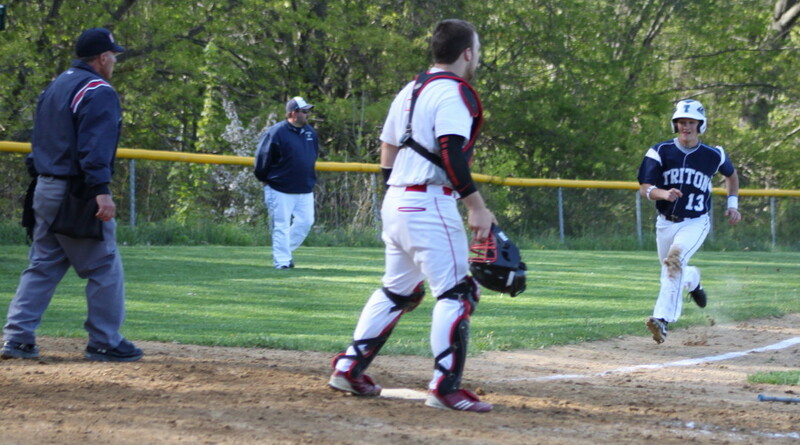 Devlin Gobeil had two hits, an RBI, and scored a run for Amesbury. 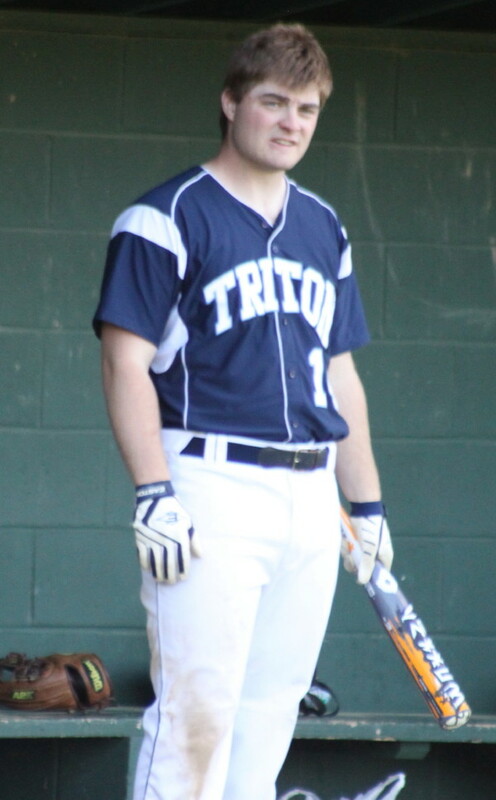 Dmitri Hunt had two hits for Triton. The Vikings centerfielder had five putouts including three straight in the sixth inning. Indians starter Andy Reidy gave up only three hits in the six innings he worked to go with six strikeouts. 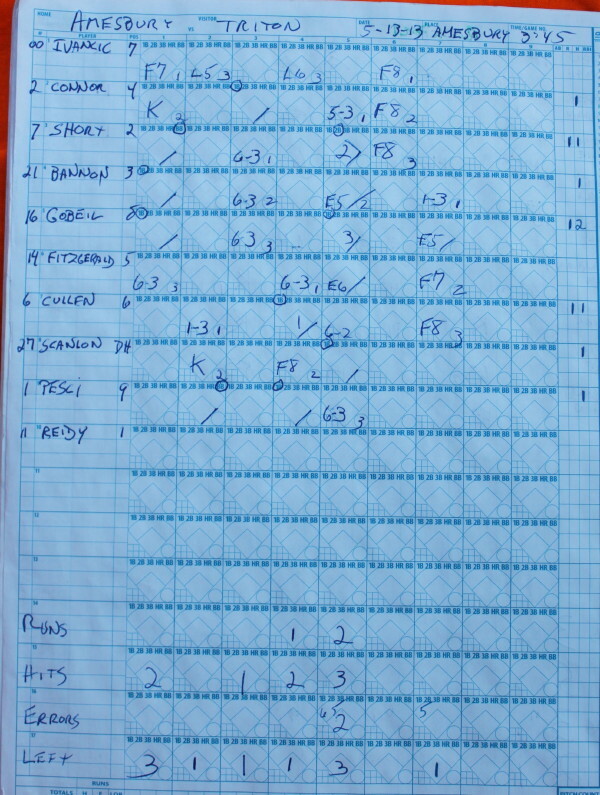 However, the junior lefty walked eight batters and three of them scored. Triton is now two wins away from making the post-season tournament. The Vikings were 9-11 last season. 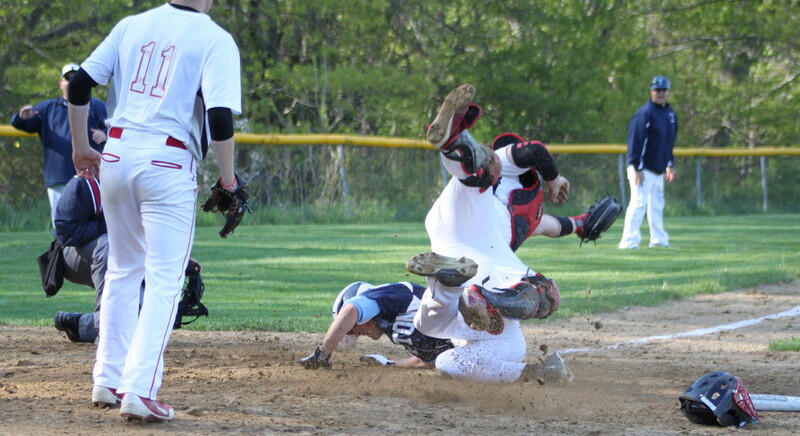 Amesbury turned a 4-6-3 double play in the fourth inning.